The Ellen Jeanne Goldfarb Community Learning Center provides a welcoming space for Jewish learning. 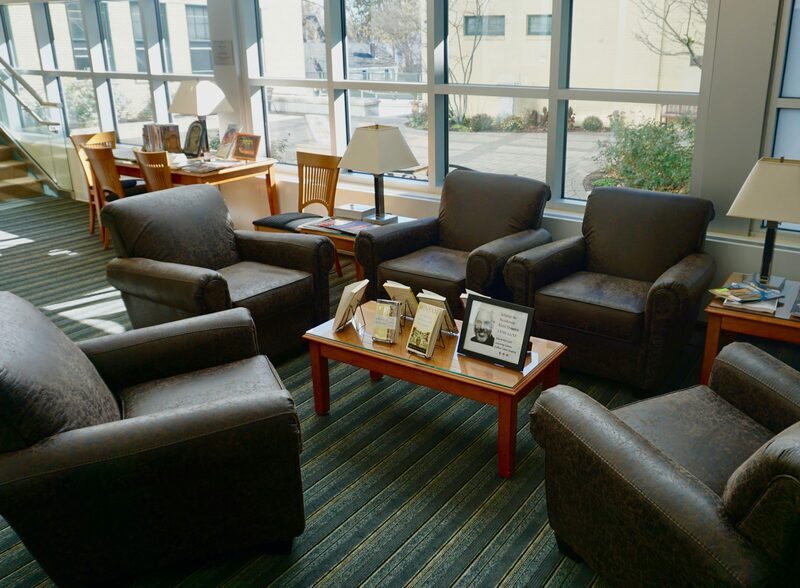 Whether you’re looking to dive into the latest Jewish publications, relax with a great novel, or find inspiration in one of our rotating displays, our Learning Center provides the resources and guidance you’ll need to get started. 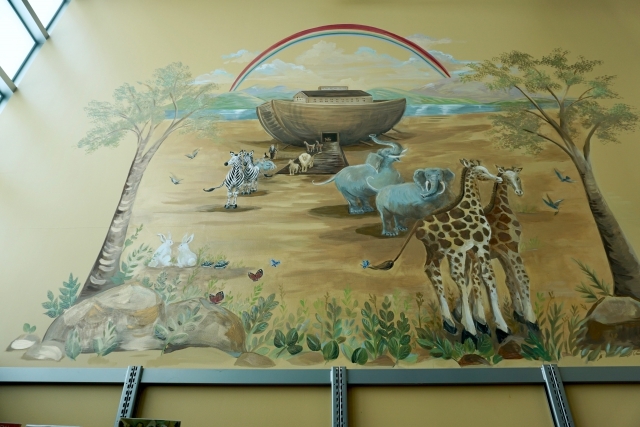 The two-story facility includes the Deborah Library, a collection of 15,000 volumes for adults and children, the Miller Reading Room, the Abraham J. Feldman Museum, and the Marjorie L. Rafal Archives. Enjoy current issues of The Forward, a provocative and entertaining Jewish newspaper, International Jerusalem Post, Jerusalem Report, and the Ledger. We keep back issues for several months. We also subscribe to several other excellent Jewish periodicals including Lilith (a feminist perspective), Moment (insightful commentary), and Eretz (the Israeli magazine in English that comes closest to National Geographic). Current issues are in the reading room; back issues are saved in the library stacks. You will find the Plaut Torah commentary and Torah: A Woman’s Commentary open to the week’s portion. Books elaborating the themes of the Torah reading or providing additional context are available for check-out. 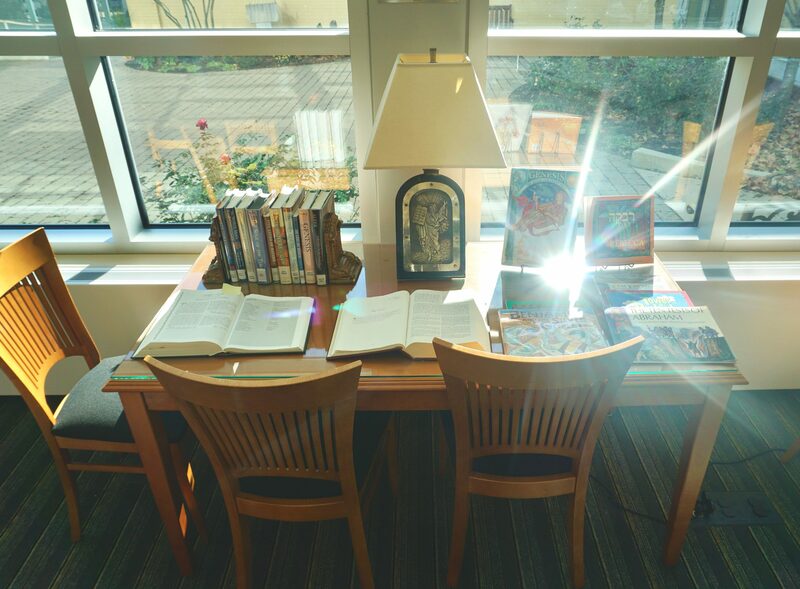 The study table also includes children’s books related to the weekly readings and the holidays. Past exhibits have highlighted Jews and baseball, Jewish art and artists, cookbooks and food memories, graphic novels and comics, and our commitment to social justice. We also have a permanent display of books related to our Congregation’s history. During November, 2017, we featured books about children in the Holocaust and Anne Frank in conjunction with the Park Road Playhouse production of The Diary of Anne Frank and the 70th anniversary of the diary’s publication. This year we are featuring Israel, starting with translations and books in English by Israeli authors, coffee table books for arm chair travelers, and our children’s Israel collection. We try to collect books listed as “Jewish Best Sellers” by Hadassah Magazine, National Jewish Book and other award winners, and Jewish books receiving attention in the American press. We buy popular and literary fiction about Jewish themes or by Jewish authors, and interesting new non-fiction about a broad range of topics of Jewish interest. We also have a collection of Jewish-themed and Israeli films. Our collection has many important Jewish books on a wide range of topics. While our mission is more community-oriented than academic, we can help most people make progress in their quest for Jewish learning. Learning Center Director Karen Beyard can help find information online if needed. 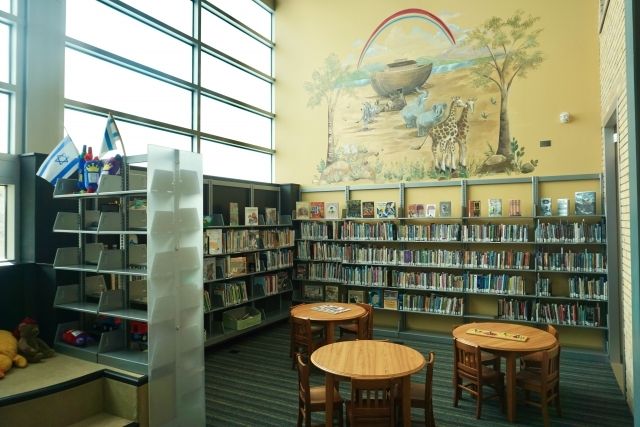 This beautiful space provides a large collection of children’s books for check-out, games and toys, and space for parents and their little ones to enjoy a little quiet time. Tot Shabbat takes place in the children’s room, and young congregants and their teachers visit frequently when YEP is in session. Those who can reach top and bottom shelves in the stacks can help with shelving and collection maintenance. Computer skills, library background, or a willingness to develop new skills are also helpful. Friends actively support the Learning Center and library collections and sponsor great programs. The Friends Advisory Committee, which includes several professional librarians among its members, provide advice and consent about the director’s plans and library operations. Join today! Download the 2018 Sefer Summer Reading Report, due September 23rd.